Physical fitness, health and personal discipline are among the many benefits you can gain when you practice martial arts. 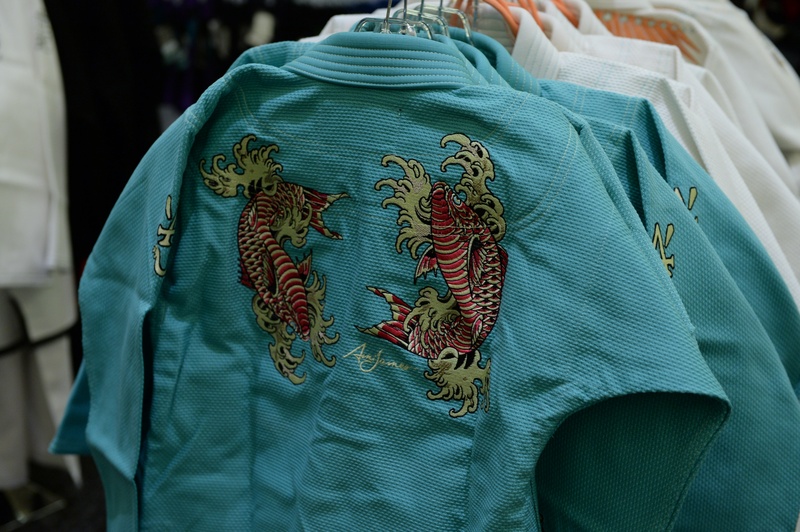 As the martial arts have gained popularity, so has the market for the appropriate clothing to wear when practicing them. This can be a boon for customers: on one hand, there are so many options that there’s bound to be a product perfect for you! On the other, finding that perfect uniform in the sea of choices can be a struggle. Getting a great uniform is especially important if you’re training, or planning on training, in Brazilian jiu-jitsu. The BJJ uniform, or gi, plays a critical role in the art itself, whether you’re using your gi to choke an opponent, or having it used against you, or using theirs against them. Buying a gi isn’t like buying a gym outfit – it’s buying a piece of equipment. If you are a BJJ competitor, your uniform choice may be quite different from the uniform of someone just starting to learn. 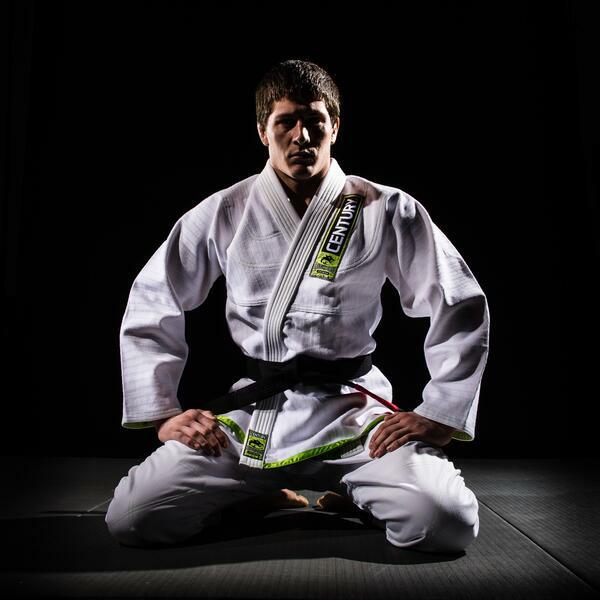 When you first start, you will want a gi that allows a wide range of movement, while remaining soft and comfortable. Beginners often benefit from a single weave fabric, not only because it’s lightweight but also because these uniforms tend to be on the less expensive end of the price spectrum. That way, you can be comfortable and have a functional gi, without a huge financial investment (parents, if you’re buying a gi for your kids, this is the way to go!). Because it is easy for an opponent to grip, a single weave gi also gives you the opportunity to fine-tune your grip escape skills. A gi made from a double weave fabric is tough on the hands of any opponent who tries to grip you. It is a recipe for skinned knuckles. It is highly durable because it’s a heavier fabric. At first, you may feel like the thickness of the gi is impeding your movement; however, many high-level BJJ practitioners actually prefer thicker gis. If you are easily overheated or compete in a warmer climate, a gold weave gi is probably a better choice than a double weave. It is still hard to grip but does not constrict the wearer like the double weave does. Both training partners are wearing the Century Ambassador gi, which is pearl weave. A lightweight pearl weave BJJ gi can help you feel light on your feet. Across the market, this weave probably holds the widest range of weight and strength, so it is a good idea to try a couple of different styles before committing to the one you wear in competition. As the name suggests, this weave is highly durable, even at its thinnest level. It is specially design to withstand tears while remaining comfortable and breathable. These qualities make it a great fabric weave to wear in hotter climates. Want more? This post on PoweredByShe.com has a detailed technical description of the different gi weaves, plus pictures (yes, the article specifically references women’s gis, but they’re made with the exact same material as men’s. I promise). If you plan to practice frequently, it is important to make sure that you buy uniforms that are made to last. Turn your focus to more durable fabrics rather than those that sacrifice longevity for comfort. If you are only going to be wearing your gi to your class that meets once a week, however, you can save up your money to buy more durable uniforms once you start competing. Many times, people who train frequently own multiple gis, and rotate through them. This plan lets you buy slightly cheaper gis, since you’re spreading out the effects of wear-and-tear, and is also convenient for laundry: you can wash one, wear the other while the first is drying, then wear the clean one, and so on. The way your gi fits can affect everything from comfort to motivation. If the clothes you wear are tremendously uncomfortable, it may discourage you from practicing, making you more likely to give up on BJJ. Choosing the right fit varies from person to person. The two main elements of fit to consider are snugness and range of movement. Some people like a closer fit while others prefer their Brazilian jiu-jitsu uniform to be slightly baggy. A BJJ gi that is a little roomier can make certain movements easier. If possible, try on several uniforms – and move around in them – before making a decision. Otherwise, err on the side of looseness. Last but not least, your own personal style determines the gi that is right for you. Some people prefer a plain style that limits flash and allows spectators to focus on movement. Others cannot get enough flash and love uniforms that feature a myriad of patches and personalized embroidery. If your individual style is an essential part of your presentation, you may seek out rare gis that leave a stark impression on your competition audience. If you plan on competing, however, make sure your decorations are tournament legal! Overall, your favorite BJJ gi is going to be the one that fits both your comfort and performance level. The best Brazilian jiu-jitsu gi enhances your movement and style rather than detracting from them. Consider the factors listed in this article before making your choice, and you’re much more likely to end up with a gi you’re happy with!